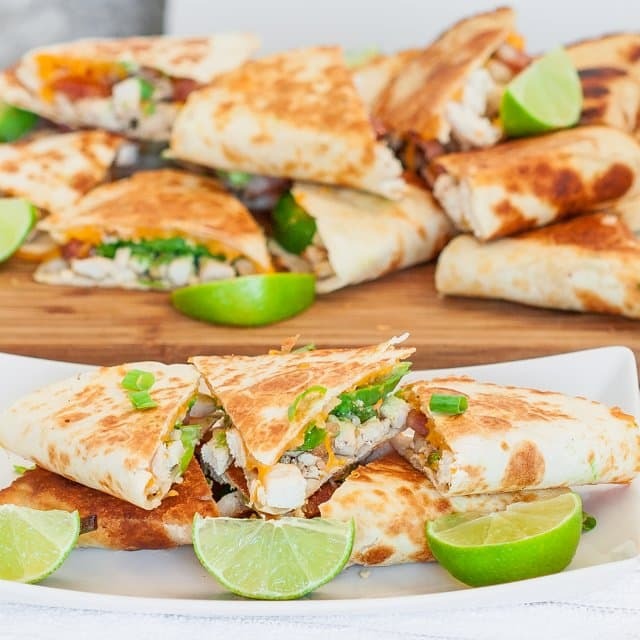 Grilled Vegetable Quesadillas with fresh mozzarella cheese and pesto – using fresh ingredients found at your local market, these quesadillas are perfect for a healthy lunch or dinner. Last time I checked the weather we were supposed to have record high temperatures for today, and I chose today of all days to grill some vegetables. Very smart of me, don’t you think? Don’t answer that! I just remind myself that at least it’s not humid and all is good again. But the sun was burning so hot that the poor dog couldn’t walk on the deck, it was that hot. Do they have flip flops for dogs? I wonder! But weather shmeather. I was determined to make these quesadillas. I know I’m not one for a lot of vegetarian dishes, but you will not miss the meat, my friends. 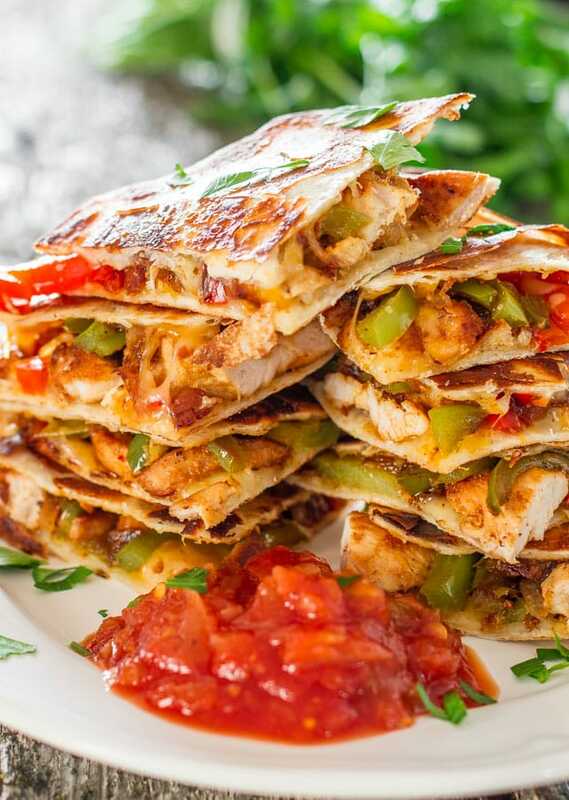 These quesadillas are loaded with grilled vegetables. But you know what the best part is? I used fresh mozzarella cheese. OMG do I ever love this cheese. I buy it at Costco, it comes in a package, I think it’s like a pound of cheese or something like that, and it’s in the shape of a log. But it’s really fresh and you almost don’t have to cut into it, you can break it with your fingers and just indulge. Trust me, it’s the best cheese ever. Well at least until I fall in love with some other cheese. I’m a woman, I’m allowed to change my mind! And then! And then there’s the pesto. How could you not love pesto and mozzarella cheese together. And of course all the grilled vegetables, which I slaved so hard over in the heat. 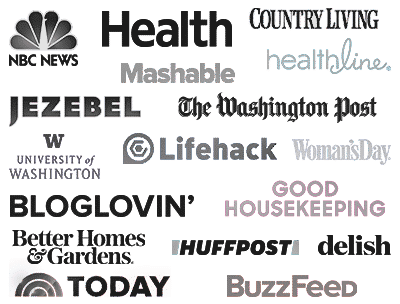 Remember all the peppers I got from my sister, well I grilled a few sweet pointed red peppers, which are my favorite for grilling and if you want a killer recipe with these grilled sweet pointed red peppers, check this out. You simply make a garlic sauce and pour it over these red peppers and all I can tell you is WOW! They are so good, I can eat them with anything, on anything, or just on their own. Trust me on this one. OK, so we’ve got grilled peppers, grilled portobello mushrooms, zucchini, squash and red onion. Lots of veggies, lots of cheese, lots of pesto, all on ancient grain tortillas. And before you ask me, yes you can use whatever tortillas you prefer, whole wheat, white, spinach, pepper, whatever tortillas you prefer. It’s the filling that matters here. 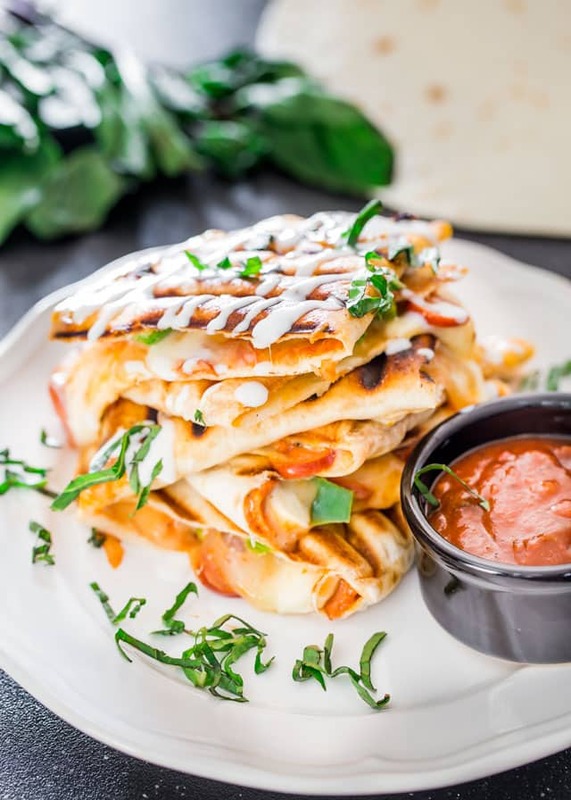 Grilled Vegetable Quesadillas with fresh mozzarella cheese and pesto - using fresh ingredients found at your local market, these quesadillas are perfect for a healthy lunch or dinner. Turn your grill on and let it heat up to about 300 to 350 F degrees. Season the zucchini, squash and mushrooms with salt and pepper. Grill the vegetables, including the peppers on both sides until grill marks form. Remove from grill and set aside. Make sure you grill the peppers until they're charred. Let the peppers cool then careful remove the skin and seeds from the peppers then wash them out. Take a large tortilla and spread 2 tbsp of pesto over the top of the tortilla. Arrange grilled vegetables on half of the tortillas, some zucchini, squash, red onion, mushrooms and peppers. Top with about 1/2 cup of mozzarella cheese, use less if preferred. Flip over the other half of the tortilla to form half a circle and press down. 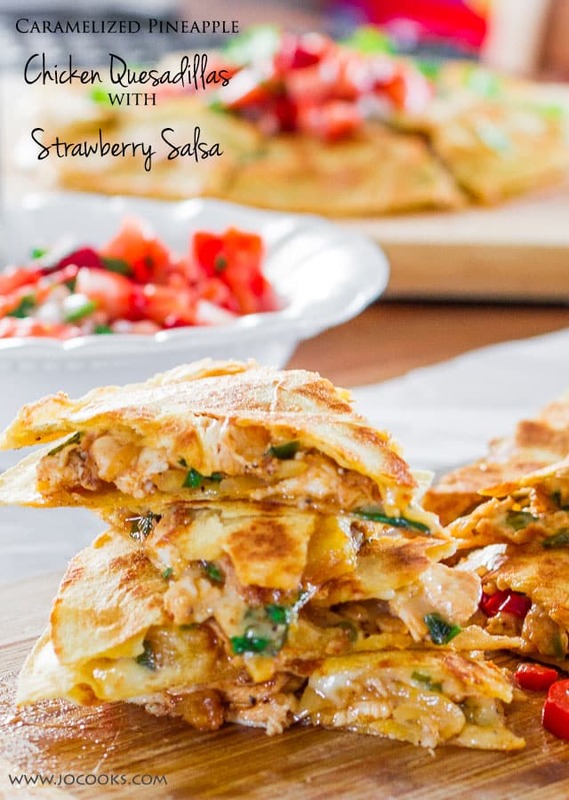 You can use a panini press to grill the quesadilla or use a skillet. If you're using a skillet, spray the bottom of the skillet with cooking spray. Place the quesadilla and grill it on both sides until golden brown, about 3 minutes per side. Repeat with remaining tortillas and grilled vegetables. Cut each quesadilla in 4 and serve. 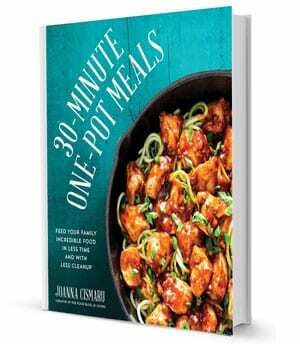 Fantastic recipe. Sautéed vegetables using salt, pepper, fresh garlic and a little garlic powder. Used sun-dried pesto along with three cheese mix of Asiago, Romano and Parmesan. One of the best Quesadillas I have ever had. Didn’t even miss the meat. Family loved it! Did you use green pesto or red? We used green, however either type will work. I’m not a vegetarian, but this looks like my kind of quesadilla! I absolutely love grilled veggies and this looks way better! OH I love this soo!!!! I know that cheese!!! Have you tried the burrata they have yet?! That is ridiculously good! Jo, I haven’t has a panini in such a long time, right now in 230 minutes I am going to the nearest deli and order a custom made with the ingredients that you made so I can indulge for lunch, I hope they have pesto because the combo is a bomb! Grilled fresh vegetables always hit the spot. This looks like a tasty dish. Glad I came across your post today.